North American Black Walnut top with faceted edges and hand-rubbed oil finish. 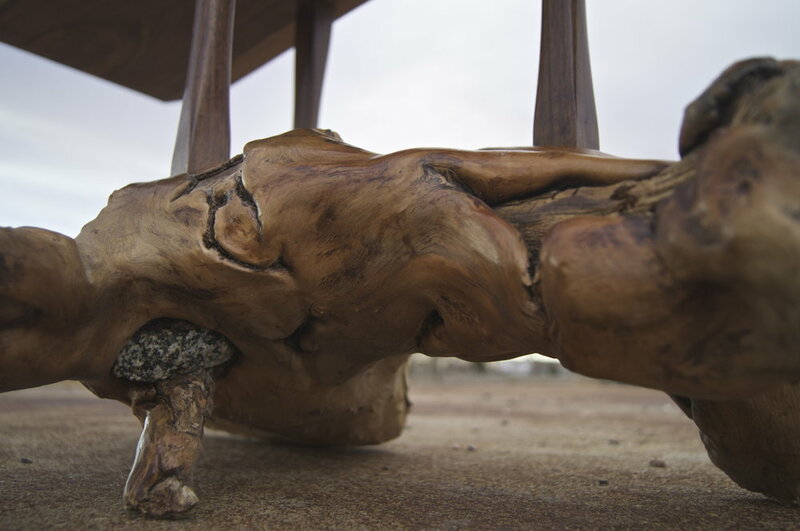 The top sits upon a salvaged piece of creek bed Madrone with walnut legs. The piece features hand-cut traditional mortise and tenon joinery. Air-dried North American Black Walnut top and legs on an urban sourced, reclaimed Black Locust base. All time-honored traditional joinery and shaping was meticulously executed with hand tools. Hand-rubbed oil finish. Live edge Mesquite top with North American Black Walnut legs. Hand chopped and cut traditional joinery. Hand-rubbed oil and lacquered finish.